In NCover 3, NCover Explorer or the NCover Reporting command line generated static HTML or XML and output to a path specified in the Explorer or from the command line. Code Central generates coverage data views automatically, which are displayed in Code Central as executions are completed. With Code Central, analyzing your coverage data isn't something you do from a static report, it's built into every part of the application, so that viewing code coverage is an immediate, engaging experience. 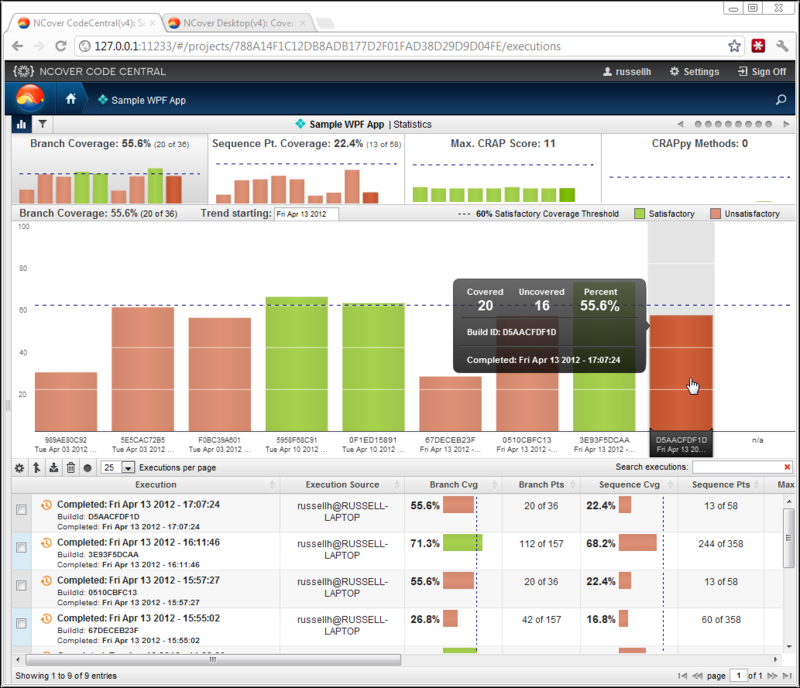 In the Analyzing Coverage Data section, you'll see how Code Central integrates coverage data into the GUI and makes it interactive. Code Central also has a command line option to export execution data using the NCover 3 format. Though customers on earlier versions will miss many NCover benefits, the previous xsl-based reports will still work for those who rely on them, or on custom reports built from that format.